Dramatic footage has emerged of police chasing and apprehending an armed gang in eastern Moscow. 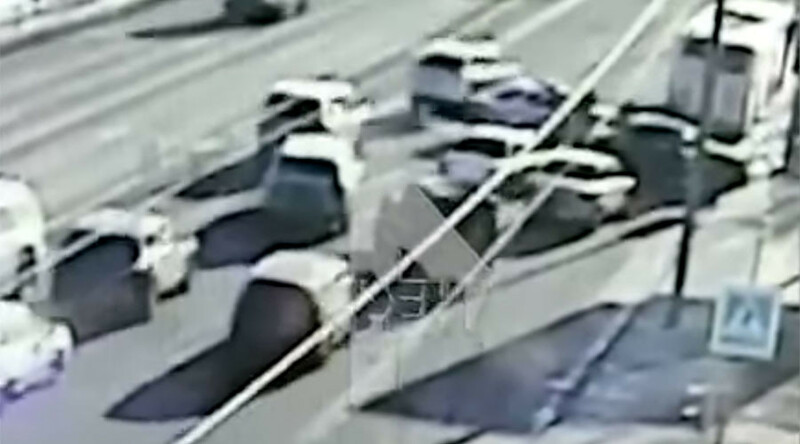 The surveillance footage, obtained by REN TV, shows the criminals attempting to flee in a car on Veshnyakovskaya street as they are pursued by police officers. The gang crashed their Mitsubishi into a bus, before quickly being blocked off by police vehicles. Witnesses said the the gang and police exchanged gunfire before the three suspects were arrested. It is understood the suspects had committed a crime just before the chase, but details have not yet been released.